If Brian Williams was not America’s sweetheart anchor and host of the highest rated evening news program who earns upwards of $10 million dollars a year, it is highly unlikely that his admitted fabrications would be handled in the same manner as they have unfolded thus far. This is why. An Investigation was Not Immediately Launched and No Independent Investigator was Assigned. As soon as one fabrication was exposed, NBC News, as Williams’ employer, should have immediately launched an investigation giving careful consideration of the proper person to investigate the allegations and define the scope of the investigation. What we can confirm is that NBC News failed to even respond until the debacle hit crisis mode. Then, when it announced the launch of an investigation, they assigned the head of its own investigative unit at NBC News to conduct the investigation. This move led viewers to question the sincerity of NBC News’ late move. To not hire an independent investigator who has no affiliation with Williams and NBC News was a critical inexcusable mistake, especially when they were late in launching an investigation. For a network still reeling from the public outing of Ann Curry and ouster of David Gregory from Meet the Press whose only transgressions were that they were — well — boring, sent the wrong message to an already lost audience. NBC News only called for an investigation by its own ilk hoping that it would drag on long enough so that America forgets. 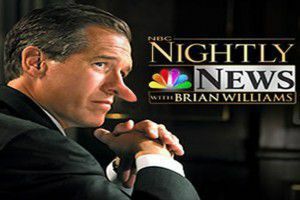 In the face of admitted false statements involving such sensitive subjects such as Iraq and Hurricane Katrina, it is highly unlikely that NBC News has done anything to help rehabilitate Williams’ previously unblemished career. Williams’ Voluntary Decision to Take an Indefinite Leave of Absence Was Viewed by Few as Valiant. When a seasoned newscaster earning millions of dollars a year who also is the managing editor of a news program admits publicly and repeatedly that he lied, his employer, NBC News, should have put him on a paid leave of absence pending the outcome of a prompt and thorough investigation conducted by an independent investigator. Here, NBC News failed to take Williams’ off-the-air which also was viewed by the public as minimizing his infractions, and further deeming the investigation as nothing more than an exercise in futility. While it may appear noble that Williams’ voluntarily decided to take an indefinite leave, it was likely orchestrated by his own counsel to take the heat off Williams, who would be hard-pressed to avoid questioning had he stayed on the air, especially since he was scheduled to appear on the David Letterman Show where he first reported the helicopter fabrication. When Williams’ announced that he had become painfully aware that he is now a part of the news due to his actions and was taking himself off the air, few viewed his actions as valiant. It was more like he was running for cover hoping that the news cycle quickly forgets his tall tales. The problem for Williams is that we are reminded of him constantly because his beautiful daughter appears weekly on the HBO show Girls. Williams’ Lies Go to the Heart of the Essential Functions of His Position — Truthful Reporting of Events in the World. An investigator’s role is to make factual findings based on interviews and documentary evidence. From an investigator’s perspective, this is an easy one because there is no “he said, she said.” The difficulty lies with the repercussions for the admitted falsehoods — a decision that is made by the employer, typically in conjunction with its legal counsel. New York Times media columnist David Carr wrote in his Monday column that he didn’t think Williams should lose his job over his embellishments, because “his transgressions were not a fundamental part of his primary responsibilities.” Seriously? Williams does not merely read teleprompters; he is paid to report the facts as he observes and experiences them at the scene of the crime or in the face of tragedy. Williams was sent to the scene of Hurricane Katrina and the battlefield in Iraq to report what he was experiencing. So if he flat out lies about a helicopter that he was not in, claims he was saved by a cop when faced by gang threats, or that he observed floating bodies from the Ritz Carlton during Hurricane Katrina, how can anyone possibly say that Williams’ fabrications are not fundamental to his job? A whopping 80% of 1000 Americans surveyed by Variety Magazine who either watched or read Williams’ apology reported that they believe Williams should be removed as a news anchor entirely by NBC, with 70% of those surveyed of the opinion that he simply cannot regain his credibility. Over half of the respondents reported that he changed his story in order to present himself as a hero, which strongly suggests that he is unlikely to win back his nine million viewers even if he comes clean. Why else would Williams do this, except for media attention? Is Williams’ Conduct a Red Flag for NBC News to Conduct a Fitness-For-Duty Examination? Let’s consider how this would be handled in the real world. When a seasoned well-loved forklift operator one day drives erratically in the company warehouse or a tenured professor with an unblemished personnel file has a complete meltdown in the middle of a class he is teaching, the employer is often at a loss as to how to respond. On the one hand, it is the first time the star employee has acted out, but on the other hand, we consider whether there is some physical or mental condition that is limiting (in California) or substantially limiting (under the Americans with Disabilities Act (“ADA”)), the employee’s ability to perform one or more major life activities, which includes working. Watching Williams tell these tall tales convincingly is no different than the forklift operator or the professor who explode in the workplace. In these situations, I frequently counsel my clients to obtain a fitness-for-duty evaluation of the employee. The employee is typically taken off work and provided a form which is approved by California’s Fair Employment and Housing Act and ADA, with a copy of a detailed job description that includes both the physical and mental requirements for performing the essential functions of the employee’s position, that the employee gives to his or her physician to determine the employee’s fitness-for-duty in light of the exhibited behavior. The burden then shifts to the physician to determine whether the employee can perform the essential functions of the position, with or without any reasonable accommodations. Indeed, psychologists and psychiatrists interviewed are already weighing in on his mental state. If History is our Guide, Williams will not be Returning to his Anchor Seat.